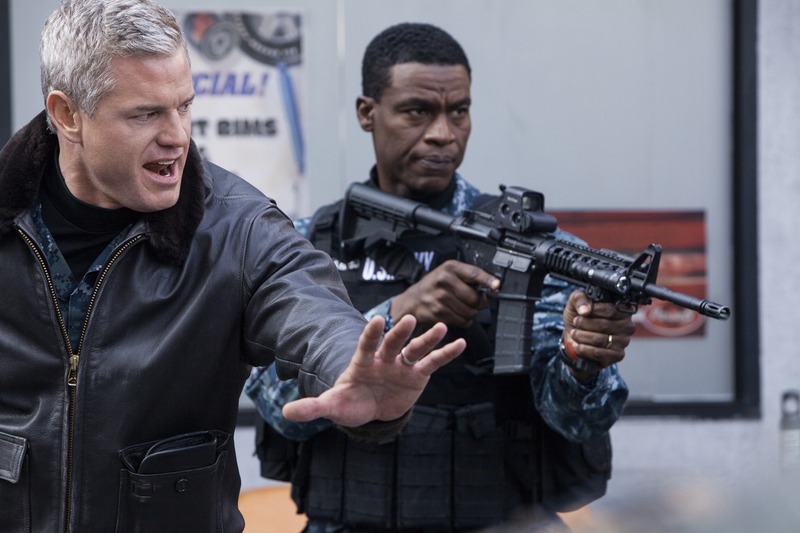 Stars and the executive producers from TNT’s The Last Ship treated fans to an exclusive new trailer at WonderCon this weekend and unveiled key art for the upcoming second season. The show was basic cable’s #1 new series last year and TNT is hoping for a strong repeat with the new season as well. Based on William Brinkley’s novel, The Last Ship chronicles the aftermath of a global catastrophe that nearly wipes out the world’s population. Captain Tom Chandler’s (Eric Dane) Navy destroyer was able to avoid the disaster, potentially making Chandler and his crew among the last humans on earth. In its first season, the show reached an average of 14.5 million viewers across all platforms. At WonderCon, cast members Rhona Mitra, Adam Baldwin, Travis Van Winkle, Charles Parnell, Christina Elmore, John Pyper Ferguson, and Jocko Sims filled out the panel with executive producers and showrunners Hank Steinberg and Steven Kane and fellow EP, Jack Bender. Fans of Falling Skies can expect more twists, a few answers, and plenty more questions from the third season of the TNT show. We had a chance to chat with series star Noah Wyle, newcomer Doug Jones, and executive producer Remi Aubuchon about the return of the aliens vs. humans drama this June. Calling this the toughest shoot he has ever done, Wyle, who plays former history professor Tom Mason, is extremely proud of how the season has come together. Indeed, there is a lot of change this season with Tom, who at the end of season two wanted to stay with Second Mass. When we see him next, it is seven months later, he is the President of the United States, and he has formed an alliance with a new race of aliens, known as the Volm, and their leader, Cochise (Jones). Tom and Anne’s (Moon Bloodgood) baby is also born, his sons Matt (Maxim Knight) and Ben (Connor Jessup) enjoy more independence, and his eldest son Hal (Drew Roy) deals with the eye worm that is causing him to lose control of himself and possibly be used as a spy for the enemy aliens. But what happened in those seven months and can the Volm really be trusted? Wyle says audiences will have to tune in to find out. Yes, but for how long? 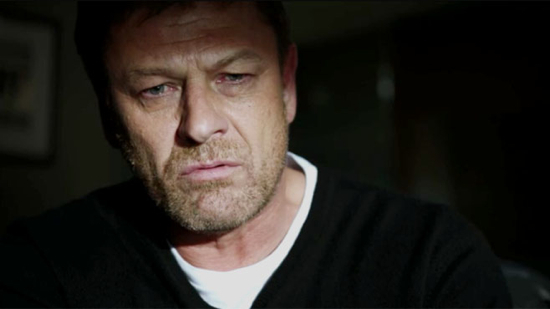 Sadly, even though Sean Bean is one of our favorite actors, he does tend to die in many of the movies and TV series in which he appears. Maybe that won’t be the case this time as Bean is clearly the star of this new Howard Gordon-produced series Legends. The show has been picked up by TNT for a ten episode first season and concerns Martin Odum (Bean), an undercover agent working for the FBI’s Deep Cover Operations division. Martin has the uncanny ability to transform himself into a completely different person for each job. But, as often happens in these situations, he begins to question his own identity when a mysterious stranger suggests that Martin isn’t the man he believes himself to be. Uh oh, twist! The series also stars Ali Larter as the hot but unfortunately named Crystal Quest, a fellow operative who has a history with Martin; Rob Mayes as Troy Quinn, a former Special Ops agent with a single-minded mission-first mentality; Tina Majorino as Maggie Harris, the newest member of the DCO team; Steve Harris as Nelson Gates, the director of the DCO Task Force; and Amber Valletta as Sonya Odum, Martin’s ex-wife. Look for the series to debut in early 2014. We’ll keep our fingers crossed for you Sean. There are few actors these days that can play just about any part in most geek-driven properties these days. Neal McDonough has gone from playing Bruce Banner in the animated Hulk series, to having a part in Star Trek: First Contact, M. Bison for some reason in Street Fighter, and even playing the fan favorite Dum Dum Dougan in last year’s Captain America: The First Avenger. Now, McDonough is taking the center stage again with Frank Darabont’s upcoming TNT series based on the video game L.A. Noir. Deadline reports. LA Noir tells the true story of a decades-long conflict between the LAPD, under the determined leadership of Police Chief Parker (McDonough), and ruthless criminal elements led by mobster Mickey Cohen, a one-time boxer who rose to the top of LA’s criminal world. Alfred Molina has signed on to star in David E. Kelley’s new medical drama pilot Chelsea General. The drama is set to air on the TNT network. The story is based on an upcoming novel from CNN chief medical correspondent Sanjay Gupta. The story follows the lives of five surgeon who face the difficulties of balancing the professional life of a doctor while trying to not fail at maintaining their personal lives. The show is based around their hospital’s weekly morbidity and mortality conference, when doctors gather with their peers for a confidential review of complications and errors in patient care. It will provides a unique look at how surgeons come to terms with mistakes and try to learn from them. TNT will preempt it’s primetime lineup tonight at 8PM and 10PM E/P to run back-to-back airings of it’s 1999 original movie Pirates of Silicon Valley. This is the only movie, so far, to depict the rise of Apple co-founder and visionary Steve Jobs, who tragically died yesterday at the age of 56. The film follows the race between computer rivals Apple and Microsoft and stars Noah Wyle as Jobs, Anthony Michael Hall as Microsoft founder Bill Gates and Joey Slotnick as Apple co-founder Steve Wozniak. I haven’t watched the film in quite some time but I’m sure I will be tonight. I guess it doesn’t pay to be Jada Pinkett Smith these days. First, rumors surface of your alleged affair with Mark Anthony which made Will Smith cry and now TNT has decided not to renew your TV show. That’s right, for those of you watching Smith and her co-stars each week on Hawthorne, the show will not be back for a fourth season. This news comes after TNT recently canceled another show that, at least in my opinion, was pretty good and worth watching: Men of a Certain Age. Apparently also “on the bubble” is the Jason Lee starrer Memphis Beat, which has been on for two seasons already. According to reports, the odds of it returning are pretty much even money. TNT has decided not to order a fourth season of HawthoRNe. TNT truly appreciates the tremendous dedication of everyone involved in HawthoRNe. The series gave TNT the opportunity to work with many outstanding people, including Jada Pinkett Smith and the rest of the show’s talented cast, crew, producers and writers. We wish everyone involved with HawthoRNe nothing but the best. Nothing but the best. Isn’t that nice? And they say people in Hollywood don’t care. We’ve been waiting for this as some of us are big fans of Rizzoli & Isles here at The Flickcast offices. Yes Mr. Ullrich, we’re looking at you. Still, that doesn’t mean TNT doesn’t have some other fine programming as well. To let us all know what the network hsa in store for us for the Fall and Winter, they’ve released their schedule for all to see. The new schedule includes the continuation of the current seasons of The Closer, Rizzoli & Isles and Leverage, which all return with new episodes on November 27 and 28. It also includes the new season of Southland, which will kick off in January and the first installment of the network’s new original movie franchise TNT Mystery Movie Night, which will debut November 29. TNT also announces additional castings on several of its movies, including Alfred Molina joining Scott Turow’s Innocent, Dermot Mulroney in Silent Witness, and Mark-Paul Gosselaar and Kevin Alejandro in Hide. If you’ve been following the saga of a group of ragtag survivors agains seemingly overwhelming alien invaders, aka Falling Skies, then you’re going to be happy about this news. TNT has ordered a second season of the show. Coming from Steven Spielberg and DreamWorks TV, the show premiered last month with 8 Million viewers, making it cable’s top series launch of the year. Since that time the series has averaged 6.4 Million viewers for its first three episodes and is attracting strong ratings overseas as well. The network has ordered 10 episodes for Season 2, which is slated to air in Summer 2012. Although that may not seem like a lot of episodes, it’s about average for basic cable. Falling Skies stars Noah Wyle, Mood Bloodgood, Will Patton, Sarah Carter and Drew Roy. It airs Sundays at 10/9C on TNT.